After the lack of supply of cash in India following its Prime Minister step to remove high-denomination banknotes from circulation in November 2016, the country is moving a step closer towards becoming a cashless economy with the launch of Unified Payment Interface (UPI). Unified Payment Interface (UPI) allows all bank account holders to pay money from their smartphones, both online and offline, without the need to enter credit card details, IFSC code, or net banking userID/passwords. This new digital payments app, which is believed to be a game-changer for cashless payments in India, is currently available for download only in Google Play Store, which means iOS users have to wait for some time. BHIM is linked to more than 30 private and public sector banks including State Bank of India (SBI), Axis Bank, HDFC Bank, ICICI Bank, IDBI, Union Bank of India (UBI) and Kotak Mahindra. BHIM has become so popular in the country that the UPI-based payment app has now crossed 3 Million downloads on Google Play Store, and according to NITI Aayog CEO Amitabh Kant, people have already made over 500,000 transactions using the app. Developed by the National Payment Corporation of India (NPCI), The UPI-based app links your registered mobile number and smartphone with your bank accounts to enable safe, secure and simple cashless transactions. The app is also supposed to support Aadhaar-based payments which will allow users to make transactions with their fingerprint impressions, but the feature is yet to roll out with the new release. Setting up BHIM on your mobile device takes just a matter of seconds. 1. Just download BHIM from Google Play Store, choose a language and click Next button few times. 2. The app will then ask your permission to send an SMS to verify if your phone number is registered with your bank account. 3. The app automatically takes a few seconds to verify your phone number through your phone's unique IMEI number by sending a message to its servers. 4. Once verified, BHIM app asks for a four-digit PIN which is required to log into the app and authorize transactions. NOTE – Don't get confused, as this 4-digit PIN is not your UPI PIN, it's just a password to lock the BHIM app. 5. 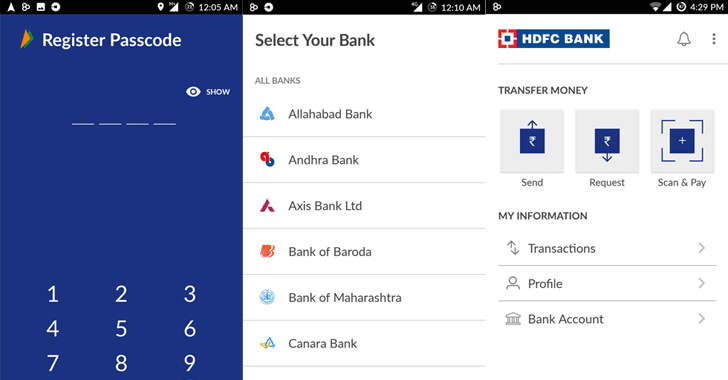 The BHIM app will now show you the list of banks. You just need to select your bank, and rest the app will automatically fetch all the details of your bank account by using your phone number. 6. The app quickly detected my HDFC Bank in a matter of seconds. 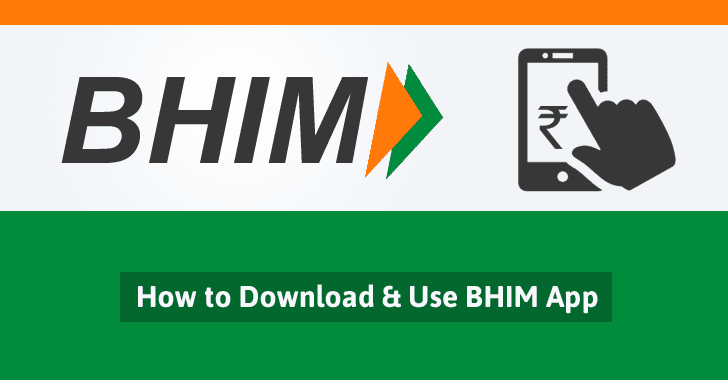 Simply click on your account number to link your bank account to Bhim UPI Payments app. NOTE – Currently, BHIM supports linking of one Bank at the time only. In case you want to link another bank account, you can go to Main menu, choose Bank Accounts and select your default account. 7. Once you've finished setting up, you're ready to start accepting and making payments using the UPI Payments interface. UPI-PIN is a 4-6 digit secret code that would be required for authorizing transactions. 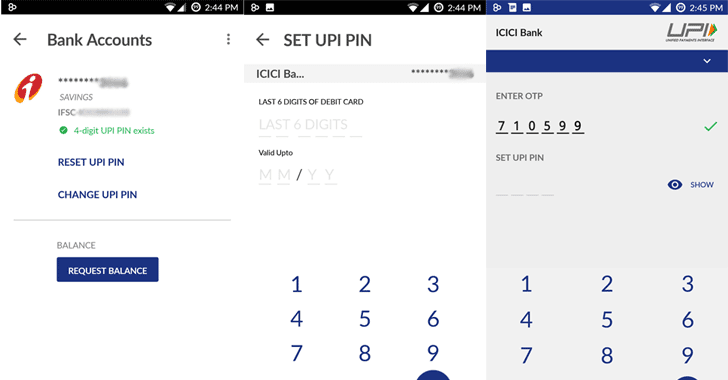 If you've already set up a UPI-PIN with other UPI apps, you can use the same PIN for BHIM app, or RESET UPI PIN by providing your 6-digit card number and card expiration date or Change UPI PIN by providing existing PIN and confirming new PIN twice. NOTE – Please don't share your UPI-PIN with anyone. 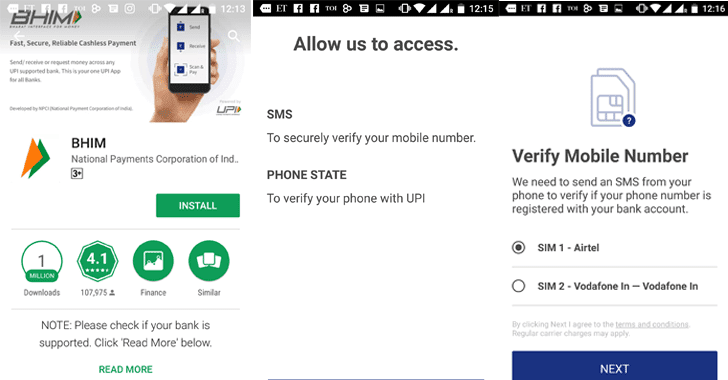 BHIM does not store or read your UPI-PIN details, and your bank’s customer support will never ask for it. On the home screen, the app has three options. 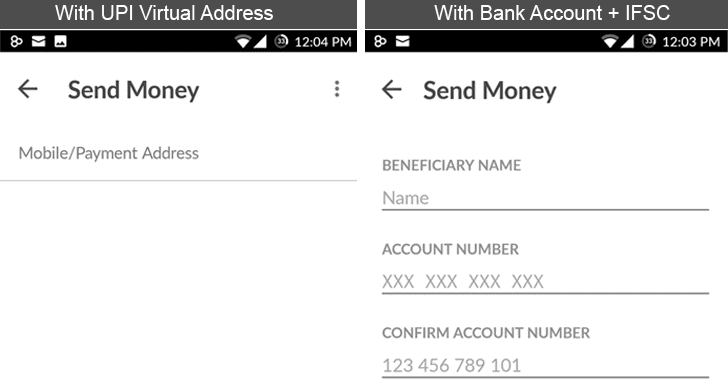 Send money, request money and scan and pay. Enter the amount and remarks to send money. Finally, enter the UPI-PIN and continue, That's It. Click on the RECEIVE icon. Enter payee's mobile number or the Virtual Payment Address of the person from whom you want the money. Enter the amount and remarks and submit. The payer would get a notification, and he/she can accept or reject the payment. For the security of its users, BHIM automatically logs out users if the app is closed or hasn't been used for a while. The BHIM app is not another online wallet like Paytm and MobiKwik, as for transferring money to anyone using BHIM, the sender doesn't necessarily need to be on the BHIM app and all they need is a bank account to receive payment. However, in the case of online wallets such as Paytm and Mobikwik, money can only be sent to someone who is using the same online wallet.